Excessive exposure to severe weather conditions can wear down your roof over time. 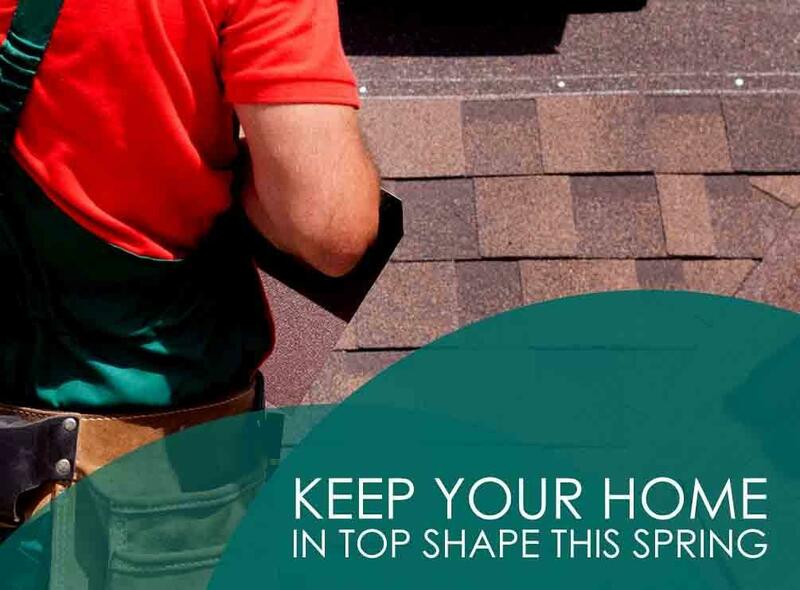 That’s why you should hire a reliable contractor to inspect your roofing this spring. We’ll check your home’s interior walls and ceiling for stains, which may be associated with a failing roof. We’ll also examine your roofing system for missing or deteriorated shingles, which can make your home vulnerable to the elements. Rest assured that we’ll provide you with a complete assessment of your roof’s overall condition so you can make an informed decision. Harsh climate conditions can degrade your exterior and make them vulnerable to termites. This can lead to moisture penetration, which can cause discomfort and moisture damage in your interior. In any case, it’s best to replace your existing siding with quality vinyl siding. Our product is impervious to termites and moisture damage. It also offers insulation that will help keep your home cozy. Your gutters play a key role in protecting your roofing and other parts of your home from excessive water damage, so you’ll want to ensure that they are clog-free. You can easily achieve this by installing our reliable Leaf Relief® gutter protection system. Its patented design allows water to flow freely into the downspout while keeping out debris. This will lessen the need to maintain your gutter system. Your windows can become hard to operate over time. If yours are difficult to open or close and have been in use for a long time, it’s best to replace them right away. Our windows from Marvin® Windows and Doors feature top-quality hardware for ease of function. They also come with durable and low-maintenance frames for lasting performance. Whether you’re in need of window or roofing replacement, you can count on Rogers Roofing to meet your needs. Perform general home maintenance this spring with our help. We serve Tinley Park, Munster, Dyer, and other IL areas. Call us today at (773) 492-2270 for more information about our services.